These two proved that a wedding doesn’t have to be anything crazy fancy if that’s not who you are. 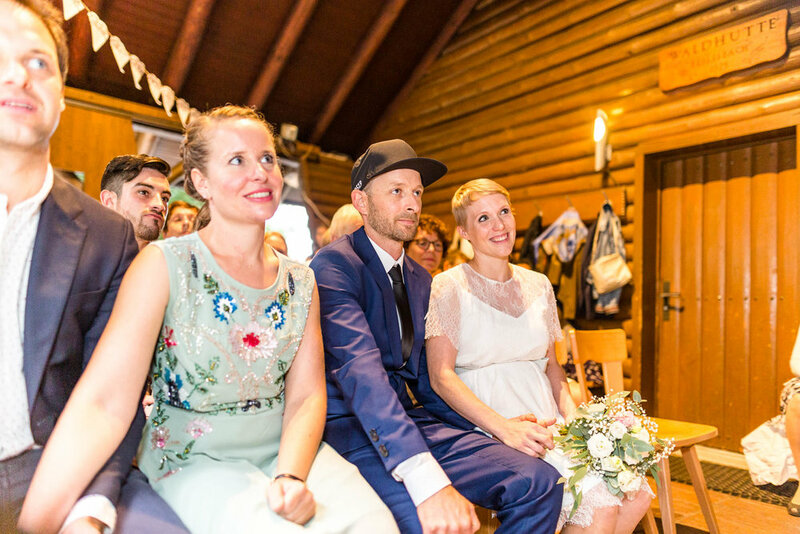 Instead, they asked friends to help them out with their cabin wedding, wore what they felt like wearing and had everyone involved in their special day. In Switzerland, there’s many of these cabins in the woods - almost every town has one. Usually, we’re used to booking them for birthdays or get-together with big groups. They’re cozy but often tiny and almost all of them have space for a bonfire (or at least a small fireplace) outside. 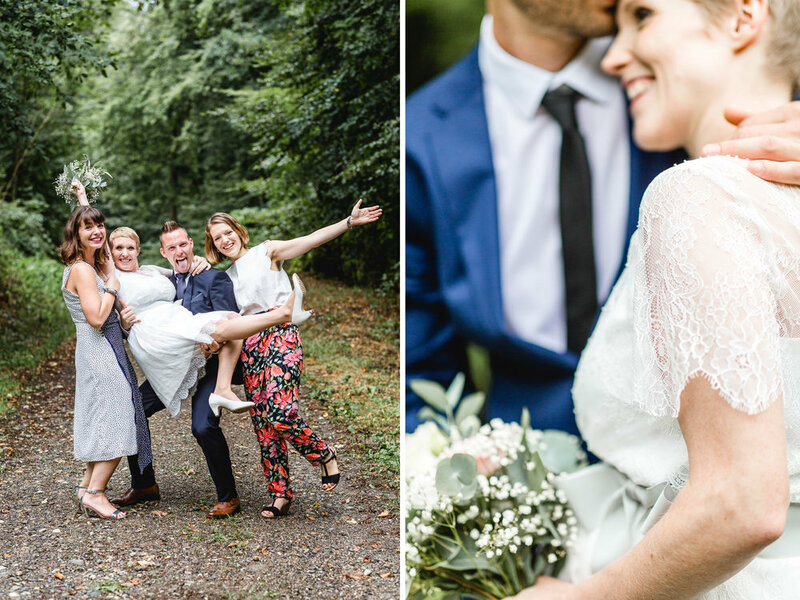 Being in such a location, Rahel and Adi - like any other couple - we’re obviously hoping for good weather so they could have their ceremony outside under the trees. Unfortunately, the weather wasn’t cooperating and it started raining right the moment we met up. I had seen the dark clouds rolling up but hoped for them to pass. The weather report had indicated no rain, after all. That’s why we had planned on doing the couple’s shoot before the ceremony. Instead, the whole plan was suddenly turned upside down by that unexpected crazy downpour. So while the first guests were arriving the whole area around the cabin got crazy busy: Friends, family, and even the couple themselves quickly moved all the benches and decorations back inside, started getting the little open ante-room ready for the ceremony while the musicians moved their things out of the rain. We postponed the shoot and hoped that it’d dry up later. It was such a wonderful wedding to be a part of. 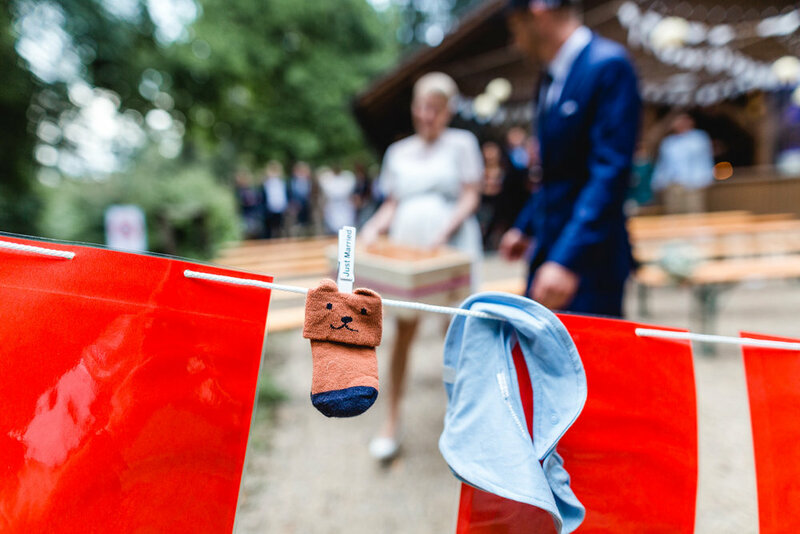 Adi’s dad is a minister and led the ceremony, which made it all the more special. There was lots of laughter and generally an incredibly laid-back atmosphere. 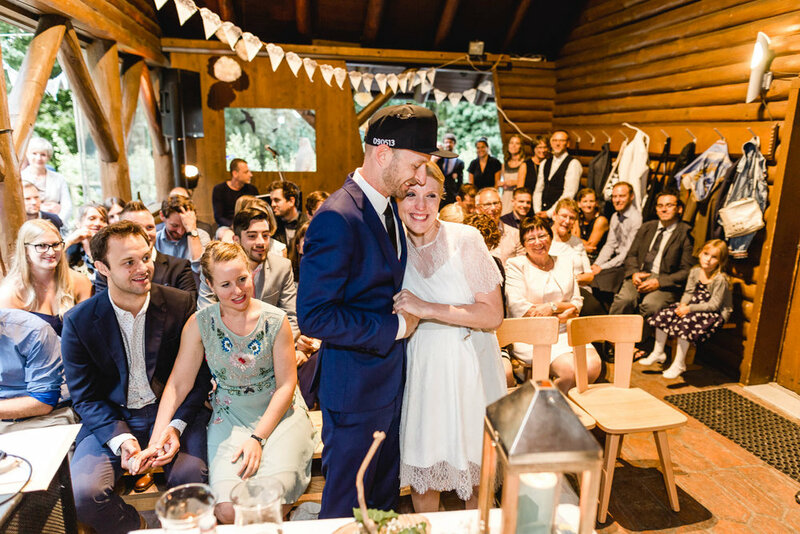 Rahel and Adi’s was a very intense, personal and just truly emotional ceremony. Maybe part of it was because of the limited space, since everyone wasn’t only close physically, but somehow seemed to inch closer together in their thoughts as well. There were tears, beautiful stories, smiles and hugs all around. So despite it not working out the way they had originally planned, Rahel and Adi still got their dream-wedding. A wedding that reflected their relationship beautifully. It showed in all the little details, the windows that they used as frames for their images, the handwritten seating charts and the garlands, that were actually “only” lacey cake-paper. How creative yet simple! Oh, and I almost forgot my absolute favorite detail: Adi is known for always wearing caps. You apparently will never see him without one. So of course, he also had to wear one for his wedding day (after all, the wedding should be YOU. I actually wrote a blogpost about it). 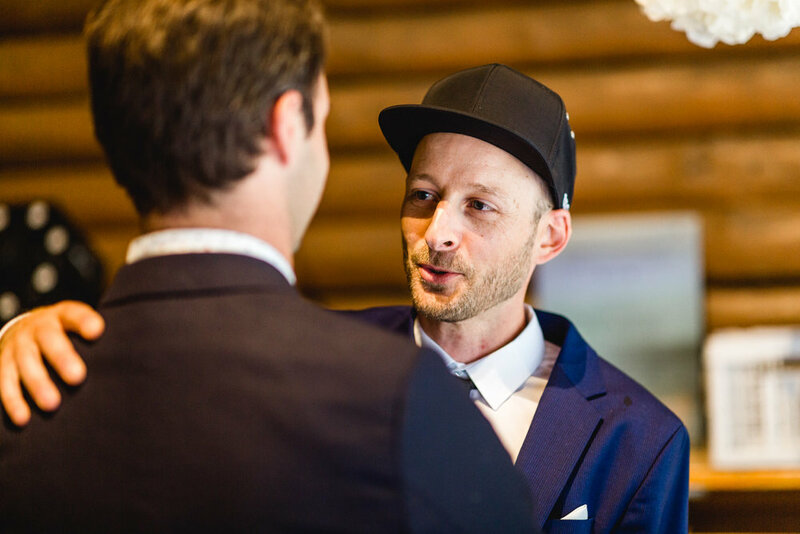 Instead of just grabbing his favorite cap, he opted to have one made: On one side he had the tailor stitch the date of the wedding, and on the other one the date they got together. How romantic! Thank you so much for your trust, it was an honor photographing your day and I wish you the very best from the bottom of my heart for your future as a family.